Instructions on how to return items to Mobile Zap can be found on our returns page here. Simply visit the My Account page located at the top of the Mobile Zap home page. Mail Service - Deliveries typically take 7 to 15 working days, but may take longer. . If the order hasn't arrived within 20 working days (so typically 5 weeks) please contact us. Australia Post Tracked Mail Service - Deliveries typically take 4 to 6 working days, but may take longer. You can track your order here. Please contact us below if your item has not arrived within 20 working days. DHL Express - Deliveries typically take 3 to 4 working days, but may take longer. You can track your order here. Please contact us below if your item has not arrived within 20 working days. I missed the delivery and my package was returned to Mobile Zap by the carrier. What happens now? You have the option to have the package reshipped to you at your cost or you may have your order refunded minus the shipping cost. Does MobileZap.com.au accept phone, fax or email orders? Unfortunately, we do not accept phone, fax, or e-mail orders. All orders must be placed online. I received a non-Australian plug with my order, what should I do? Please contact our support team if you receive a product sent with a plug that is not compatible with Australian wall outlets. We will be able to ship you an adapter at no charge. Yes, in most cases you can have your order sent directly to an address that’s different than the billing. However, you will have to provide proof of billing via a driver’s license, a recent utility bill or any form of photo ID which has the billing address printed on, to confirm you placed the order. Mobile Zap takes your security seriously. As part of this commitment, we partner with your bank to protect you from fraud. We use Verified by Visa and Mastercard Securecode to prevent fraud taking place on your account. I received a link to pay via Paypal. What should I do? The link was sent because you have a balance remaining on your account. You will need to follow that link to make a payment via Paypal. Once you complete the payment, respond to the email with the Paypal Transaction ID so we may add the payment to your account and process your order for shipping. Does MobileZap Offer Price Matching? 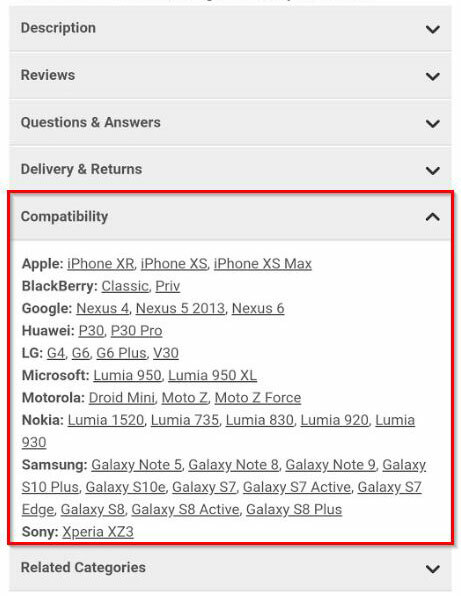 MobileZap currently does not offer price matching. Does MobileZap have an affiliate scheme? Yes. MobileZaphas an affiliate scheme with competitive rates for publishers. Feel free to contact us to learn more.